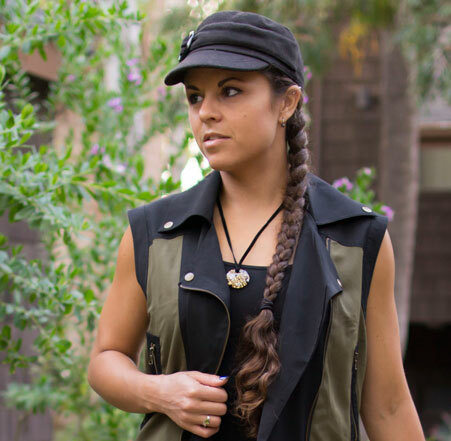 It’s still pretty hard to find anything in the sustainable and/or ethical realm when shopping for premium apparel. Even though awareness has grown tremendously over the years, it still takes a little research to truly know what you are consuming. I am always writing a lot about independent, lesser-known (and very underrated) designers I find at music festivals or just while browsing the web (like ZhenNymph from my last post), but I try to keep things balanced and show options from the more mainstream market as well. Shopbop and Revolve are two of the most popular (if not THE most popular) shopping destinations online for premium contemporary apparel and accessories. I highlighted five sustainable or ethical brands found on the former last year, but sustainable brands tend to come and go, mostly because it’s still expensive to produce sustainably and unfortunately hard to get consumers on board with conscious spending in today’s fleeting fast-fashion market. One brand that has permeated the household name treshold to hold its longevity along with its other premium name counterparts is Mara Hoffman. I know it’s still cold out there…but just wait, summer will be here before you know it! If you’ve been hitting the gym or pavement with new resolutions in mind for the new year, you’re probably already anticipating it. One of the best ways to keep yourself accountable is to start your shopping early for your new favorite swimsuit! Either way, it’s always fun to stock up on new swimwear every year, but sometimes it’s hard to know just which brand to shop for. 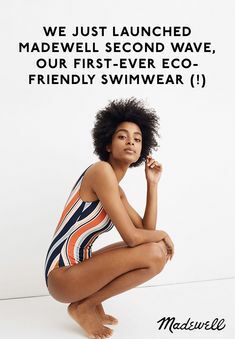 Swimwear can be expensive, and if you’re me, you’d prefer those dollars to run the extra mile in the sustainability department. Introducing: Earth friendly swimwear by Free Bella. Jeez it seems like the older we get the more hectic life is, even though it doesn’t seem like a whole lot is changing. I don’t even have kids yet! Sorry everyone for that strange “Happy Holidays!” post you might have gotten in your inboxes yesterday. WordPress decided a post from 2014 was “publishing soon” and I probably should have trashed it instead of letting it go. Anyhows, crap happens right? Now to the point of this post…with summer season upon us, and thankfully a huge emergence of the importance of being proud and comfortable in the body shapes we were born with, it’s awesome to see bikinis stepping back from the mainstream stage a bit, giving way for a huge variety of so many super cute one pieces and high waisted designs, much like skinny jeans have given way for the boyfriend and flare jeans to emerge upon the scene once more. It really does seem like there’s this crazy transformation going on in the fashion and style world. People are getting a bit sick of what is considered “normal,” or “attractive,” and are ignoring trends altogether to just be themselves. Fashion brands are taking note and happily catering to this new standard, and I absolutely love it! I haven’t seen many one piece swimwear designs out before…and thanks to many indie designers and hipster shops, the classic look is back. However, one designer in particular has taken it to an absolutely adorable level. Ugly Duckling, by Israel designer Gal Angel, is another one of those Etsy shops that compels me to hit “favorite” even though it doesn’t necessarily cater to my style. I personally still prefer bikinis, but…if I saw a girl sporting one of these I’d give her a million compliments.